On 1 May, H.E. Mr. Koji OMI: Founder and Chairman, STS Forum; Member, House of Representatives, former Japanese Minister of Finance visited ITER. He was accompanied by Mr. Shuichi FUKUDA: Director, Japan International Science and Technology Exchange Centre (JISTEC), Ms. Yu SERIZAWA Secretary-General, STS Forum and Mr. Takayuki FUJIYOSHI: First Secretary, Embassy of Japan in France. Kaname Ikeda, ITER Director-General gave a presentation on the ITER Organization, and Francois Gauché, Director of Agence ITER France, coordinated a visit to the site. 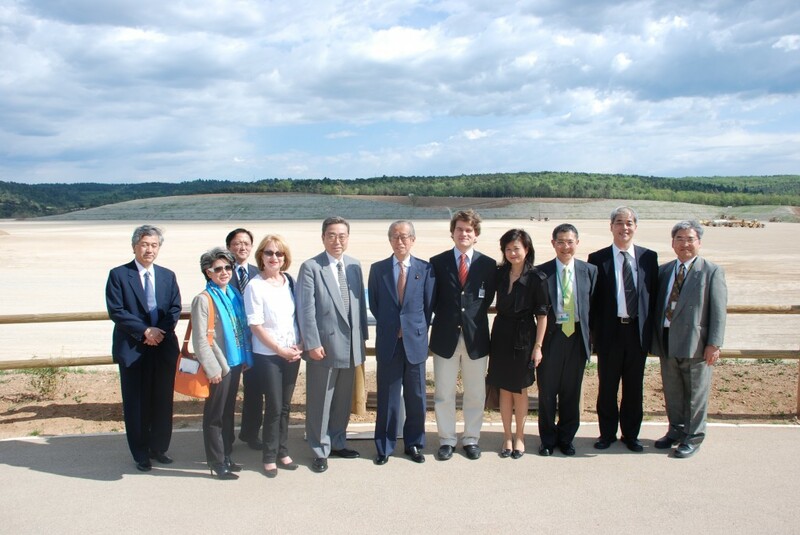 Pascale Amenc-Antoni, Senior Advisor to the Director-General, Sachiko Ishizaka, ITER Council Secretary, Hiroshi Matsumoto, Head of the Office of the Director-General, Neil Calder, Head of Communication as well as ITER Japanese staff also took part in this visit.